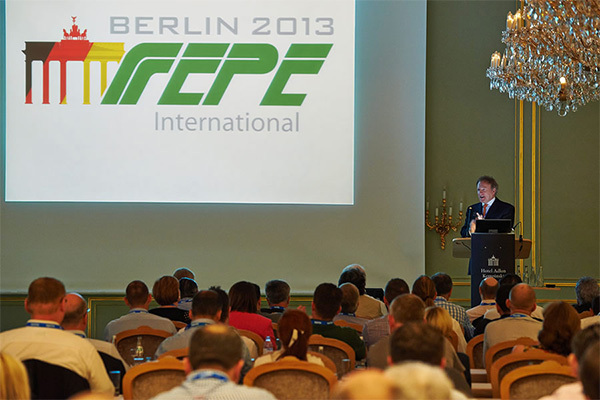 We exhibited for the first time at FEPE Berlin and was delighted to receive a warm welcome from the FEPE delegates. As part of our presence at the conference Andy Clark, CEO made a presentation to delegates revisiting a presentation he had given at the 2009 FEPE conference in Sardinia. The 2009 presentation looked at the needs of the OOH industry at the time –cost reduction, improved environmental performance and improved display quality and proposed a solution – to replace fluorescent tubes in backlit displays with a reliable LED illumination system. The 2013 presentation looked at what’s happened since, the roll out of new build and retrofit projects around the world. Andy Clark then went on to highlight what’s driving this adoption of LEDs: rising energy prices and labour costs coupled with increased LED efficiency.